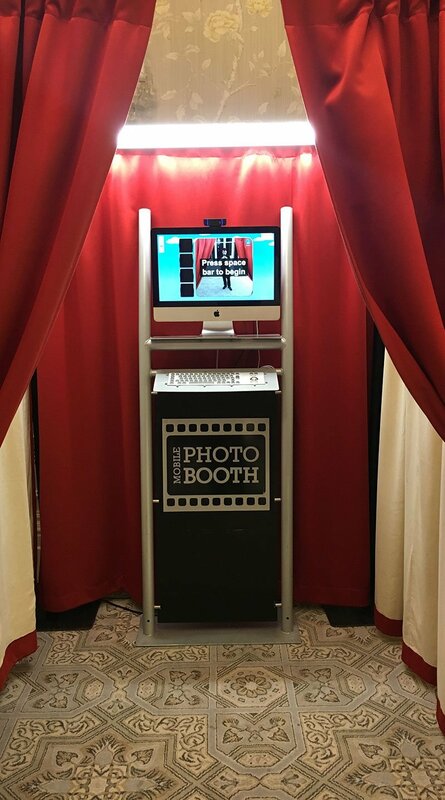 Book a photo booth to add that fun factor to your wedding! Having a photo booth at your wedding reception not only gives you something amazing to look back on as a reminder of your special day, it gives your guests something fun to do and talk about throughout the night. I offer unlimited photo prints as standard with my photo booth package, so your guests can keep coming back three cocktails later to show off their ultimate Vogue attempts! Your photos are printed as double prints so your guests get to keep a copy for themselves while you get one for your photo album – a sleek black A4 hardback scrapbook which is included in your package. Your guests simply hop into the booth, grab some of the included props and strike their best pose! Then they stick your copy of their photo into your photo album and write you a message with the silver and gold pens supplied, giving you a memento to treasure for years to come. We supply a great big prop box full of funny message boards and full-face latex masks, wigs and glasses, which we’re adding to all the time so that your guests have plenty to pose with. We can offer the photo booth in a 3-hour or 4-hour package with an operator up to 11pm in our standard package. The wedding photo booth can also be supplied separately to my DJ services. For more information and to book Kieran Clarke’s wedding entertainment services, call me on 07849 150 594 or email info@kieranclarkeents.co.uk and I will get back to you as soon as possible regarding your wedding photo booth.